CEO of the CSE Rajeeva Bandaranaike and officials jointly cut the ceremonial cake to celebrate the event. The Asian Development Bank has approved assistance to prepare a National Port Master Plan (NPMP) for Sri Lanka, covering all ports and connected urban and industrial activity as well as multimodal links. The master plan is financed by the Japan Fund for Poverty Reduction. 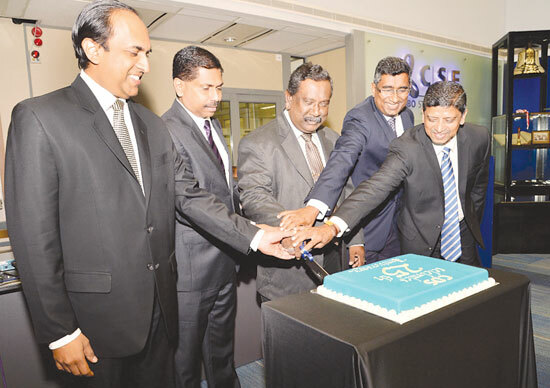 The Central Depository Systems (Pvt) Ltd (CDS), a fully owned subsidiary of the Colombo Stock Exchange (CSE), celebrated 25 years in the Sri Lankan Capital Market on Friday. The CDS was set up by the CSE in 1991, marking a historic breakthrough in clearing and settlement in Sri Lanka. The members of the Ceylon Mercantile Union (CMU) of Mackwoods (Pvt) Ltd who took umbrage over being forced to resign by the Mackwoods management last month with only a three-month salary compensation package will resort to legal remedies for redress if their claim for an acceptable compensation is turned down by the management. It was an overall bearish week for the Colombo Stock Exchange. The ASPI closed at 6539.09 down by 0.18% compared to the previous week with the S&P SL20 closing at 3599.94 up by 0.42%. ASPI recorded a year to date loss of 4.78% as at weekly closure. Ever dreamed of taking over a whole hotel?